This is one of the best books I’ve ever read. The reader can really relate to the main character, Iris, who is a young deaf girl. Iris learns in school about a lonely whale that can’t communicate with other whales because of the frequency of it’s song. The story is a well paced realistic fiction about how Iris travels on a cruise ship with her grandma to find the whale. Lynne Kelly does a great job of working Iris’s inner issues into the main plot. I could really feel the emotions of the book as I read it. 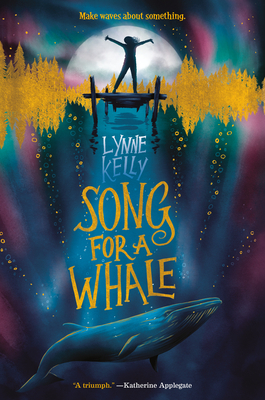 A real page turner, “Song For A Whale” is a must read!